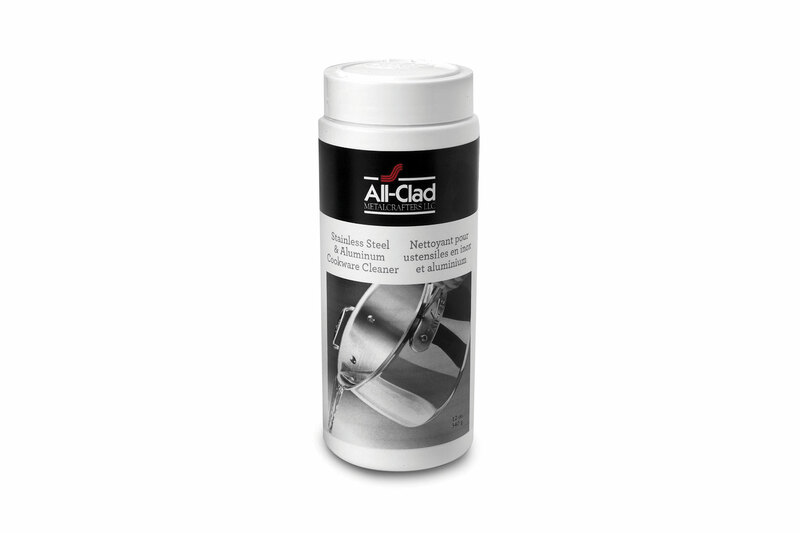 All-Clad Cookware Cleaner is a non-abrasive powder cleanser is designed to polish, remove dirt, grime, rust and hard water stains from polished stainless, brushed stainless steel and aluminum cookware. Simply wash your cookware surface with warm, soapy water and rinse thoroughly. Sprinkle All-Clad Cookware Cleaner over the wet cookware surface. For tougher stains, use equal parts of water and powder to create a paste. Apply light to medium pressure using a wet sponge or soft cloth (do not use steel wool) and rub powder in a circular motion. For very difficult stains, use a nylon scrub or sponge. Finally, rinse off immediately and completely hand-dry thoroughly. 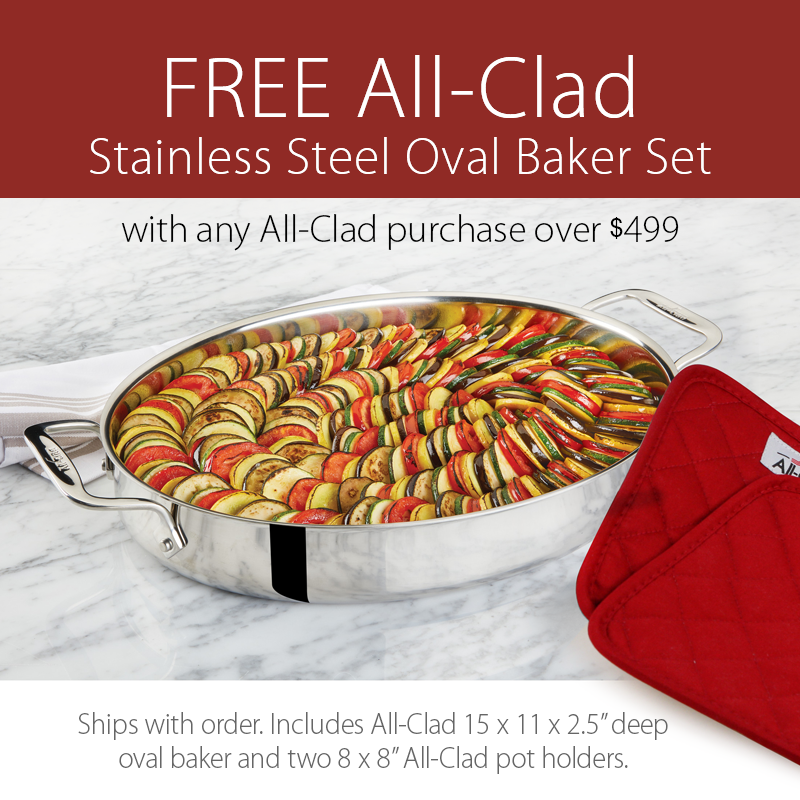 Not intended for kitchen appliances or nonstick, copper, and hard anodized treated cookware. Made in USA.